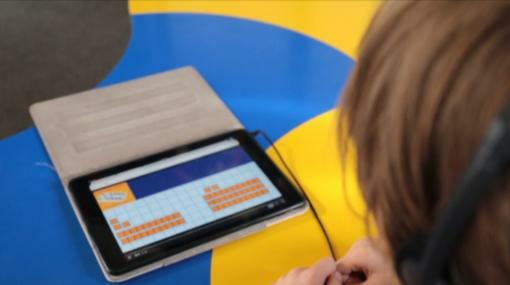 Teachers are passionate about meeting the diverse needs of all their learners, sometimes this can be overwhelming, so it's encouraging to see that there are digital tools, teaching ideas examples and support material to help us in the classroom. Are there smart ways to ensure that students have their learning potential maximized and barriers to learning minimised - where lessons are designed and delivered to cater for diverse learning preferences and challenges while still remaining sane? “…instructional goals, methods, materials, and assessments that work for everyone – not a single, one-size-fits-all solution but rather flexible approaches that can be customised and adjusted for individual needs." 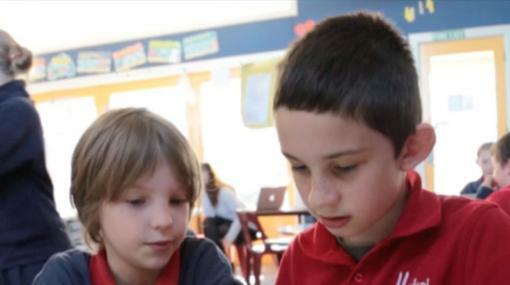 There are also some wonderful short clips from schools that demonstrate a variety of technologies and methodologies that can inspire an idea for change. For example, one of the following school stories might inspire you to trial a new something new with one of your learners, with a similar challenge for learning - dyslexia, dyspraxia, Aspergers, ADHD. For more stories go to Universal Design for Learning. Sometimes it could be worth asking, if the way we’ve done things is still not meeting the needs of learner/s, what will we change? One new idea, resource or teaching methodology/delivery might well be worth considering or trialling in a cycle of professional inquiry. 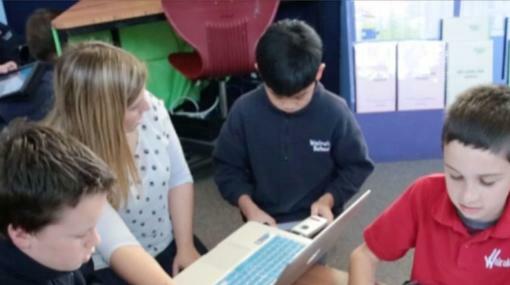 Just have to share this fantastic resource: Inclusive Ed Video library (thanks Chrissie Butler for sharing). One comment in the following video caught my eye and reminded me of when I was a teacher. One day a senior member of staff entered my class, we chatted, she went to leave and then 'called out' one of the students for wearing his cap in class. We all got the message, including me - no hats inside. To be fair, it was one of those 'unwritten rules' of the school but I couldn't get my head round it - up to that point the student had been totally engrossed in their learning. Wrong socks, hats in class... are we lowering our standards if we ignore these distractions? What does inclusion look like for you? Barriers to my learning from Ministry of Education on Vimeo. More and more schools are freeing up their curriculum, ‘unleashing the passion’ and putting an emphasis on the things that really matter - equity and excellence in education, where every child can reach their potential. Learning design is the practice of planning, sequencing, and managing learning activities, usually using ICT-based tools to support both design and delivery. Learning pedagogy and design-theory meet to define a people-based, flexible learning environment. 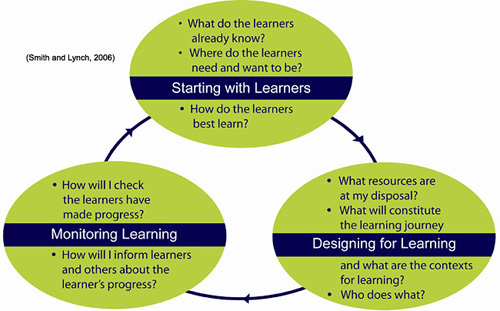 Taken from Enabling e-Learning, Learning Design (TKI). In this video from Enabling e-Learning, Steve Collis explains how the design process can connect with students to redefine the way we organise our learning environments. When thinking about learning environments, the design process starts with empathy for the people you are designing for. Universal Design for Learning (UDL) is much the same. It provides a global framework that helps teachers to plan for the diverse and variable needs of their students including making decisions about the goals, culture/s of learning, the environment (resources) and teaching methodologies and assessment practices. 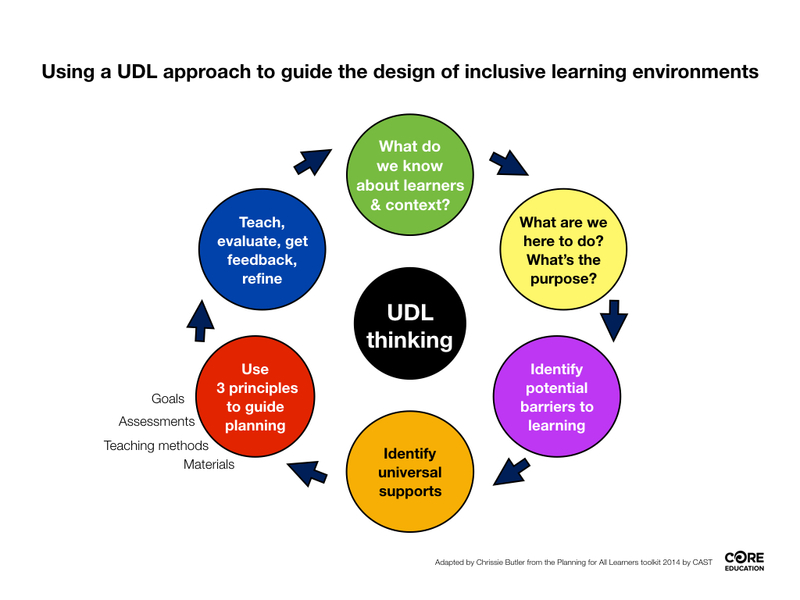 Using a UDL thinking cycle can help you when planning learning opportunities, tasks or events. What inclusive pedagogies are part of your planning? Ie: What headings or statements are in your planning documentation? What conversations or frameworks guide this process? 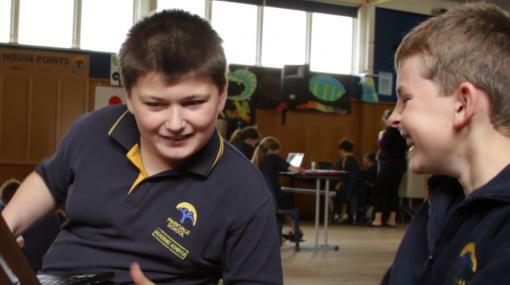 Ie: What kinds of learning conversations with learners, teachers parents, whānau take place? Is this process collaborative? Ie: Do you plan alone or with others, including students? If you have any stories, examples or planning templates to share, please feel free to share these below. Equally any questions around UDL and learning design are welcome too. Sharing might just inspire or help others on the same journey as you.